The all-time leading points scorer in the Aviva Premiership enjoyed a career in professional rugby lasting over 15 years. 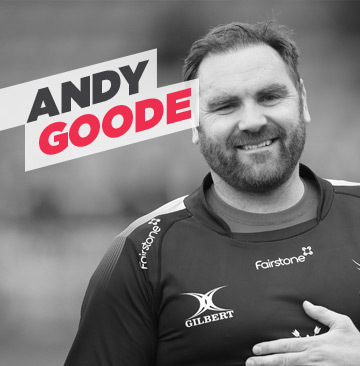 Andy is now a commentator, pundit and co-presenter of the Rugby Pod with fellow ambassador Jim Hamilton. Andy has been a dedicated supporter of the Matt Hampson Foundation and in 2017 pledged to come out of retirement for any club that could raise or donate £10,000 to the Matt Hampson Foundation. A feat completed by the London Cornish Rugby Club in May 2017.